Monday, September 24, 2018 by: Isabelle Z. (Natural News) When you’re out shopping for eggs or chicken, do you make a point of looking for “free-range” on the label? Many people are willing to pay extra for free-range eggs because they believe it means the animal has a better life. You might picture chickens frolicking in an open, grassy field, pecking around and enjoying the fresh air. Unfortunately, the reality for many free-range chickens is far different. The U.S. Humane Society reports that the free-range regulations do not specify how much outdoor access has to be provided to the chickens, nor how often they must go outside. It also does not set standards for the quality of the outdoor land offered to them, nor does it dictate stocking density. According to The Guardian, free-range sheds can house nine birds per square meter, which is equivalent to 14 adults sharing a one-room apartment – hardly a great life! Some multi-tier free-range sheds have as many as 16,000 hens, which means that although they are technically allowed outdoors, most of them are too packed in and overwhelmed to locate the few exits available to them. Many of them might never make it outside. Free-range or not, many young hens are subjected to beak trimming, a process wherein part of their beaks is burned off so they won’t peck at the other hens that share their cramped spaces – and this is usually done without anesthetic! Then there’s the matter of male chicks. Since they don’t lay eggs, they have no value to egg farmers and are typically killed shortly after being born. Some are ground up in machines, while others are simply thrown in the garbage or gassed with carbon dioxide. Some have proposed using a genetic modification approach to avoid this issue by identifying the male embryos prior to hatching and crushing them in their shells before they can hatch in what essentially amounts to selective abortion. The organic label on eggs is also deceptive. 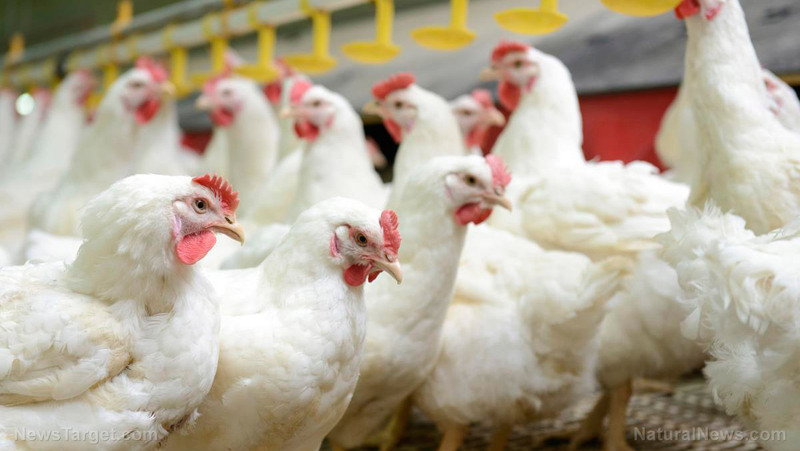 Organic is a good choice in the sense that the chickens are fed organic feed that doesn’t have pesticides and hasn’t been genetically modified. However, while the animals cannot be treated with antibiotics or hormones, forced molting via starvation and beak-cutting are allowed. In addition, egg producers often find ways to circumvent the requirements for providing outdoor space and housing them free of cages. What can egg lovers do to avoid supporting animal mistreatment? If all of this has you thinking twice about buying eggs, there are a few things you can do to continue to enjoy this nutritious and healthy food. Seek out co-ops with standards for raising chickens humanely or buy from local farms at certified farmers’ markets. Some farms will even allow you to visit to see how the chickens are kept, which should give you peace of mind that you are not supporting animal cruelty. If you’ve got the space, you could even consider raising your own chickens. It’s relatively cheap, and it doesn’t require too much upkeep beyond feeding, watering, cleaning their bedding from time to time – certainly the least pleasant part of the process – and collecting eggs. This is the best way to ensure that your eggs are coming from chickens that are treated well and given plenty of space to enjoy life. In your yard, they’ll peck at grass, beetles, worms and everything else that makes these eggs much more flavorful and nutritious than their store-bought counterparts. Another thing you can do is spread the word about this misleading terminology. The label of “free-range” might make you feel better about buying the eggs, but it certainly doesn’t help the chickens much.